It's not unusual to find artists donating their art to a charitable auction, or someone donating their used car for a tax donation. 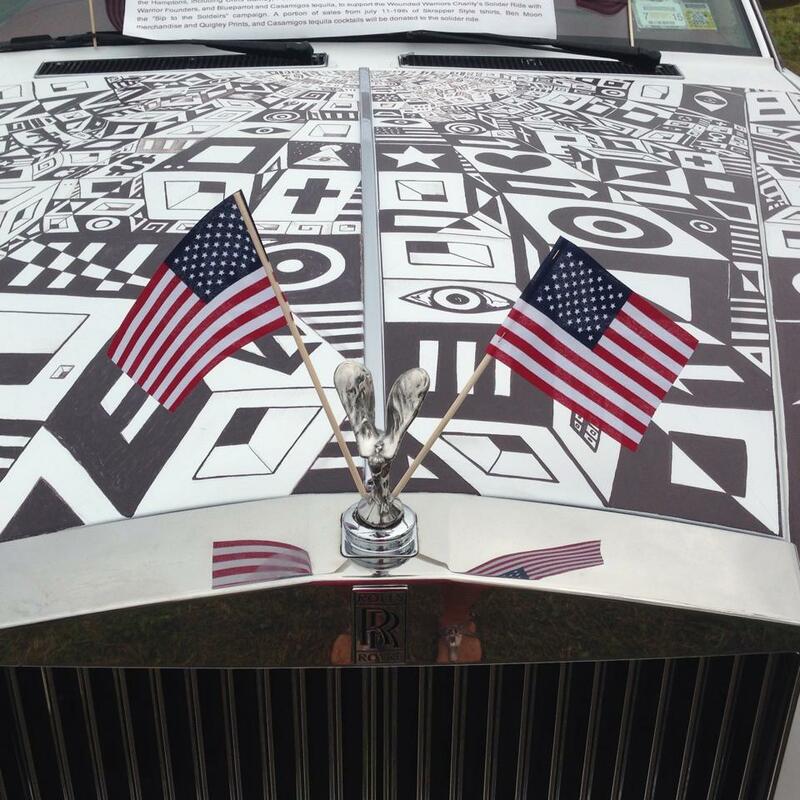 But what happens when someone donates their vehicle to an artist to create a one of a kind "art car" to help a good cause? Frank Marzano is a New York car collector with a heart. Recently he decided to place one of his coveted cars up for auction to help some of our nations military via The Wounded Warrior Project. He upped the ante when he asked artist Ben Moon to paint the exterior of the car he was donating. Did I mention it's a 1985 Rolls Royce? Moon accepted the challenge and began painting "The Lady" with white and black designs. The hood, trunk and sides of the car feature a city scape scene and an array of symbols his work is best known for. 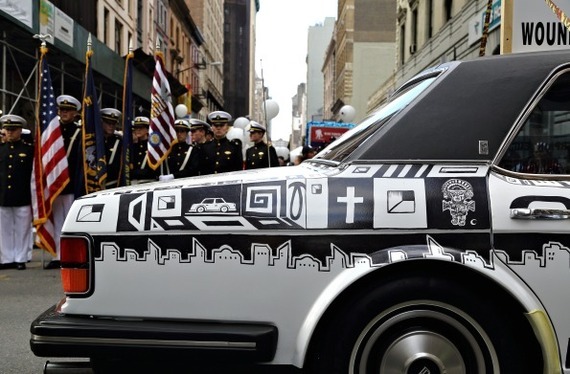 Before Moon could paint the car, it was dipped in a "plastic dip" that creates a canvas of sorts around the car so the artists paint can adhere. This also allows the artwork to be removed at a later date without ruining the cars original finish. What kind of money will a one of a kind like this bring? That's hard to say. The car "as is" has a value of approximately $30,000. An item like this is worth as much as someone is willing to pay on any given day. This isn't the first marriage of art and objects. Numerous artists have been known to lend their time and talent to create unique items. Will it be an art enthusiast that buys it? Or the serious car collector wanting a Rolls Royce like no other. The auction ends December 17.